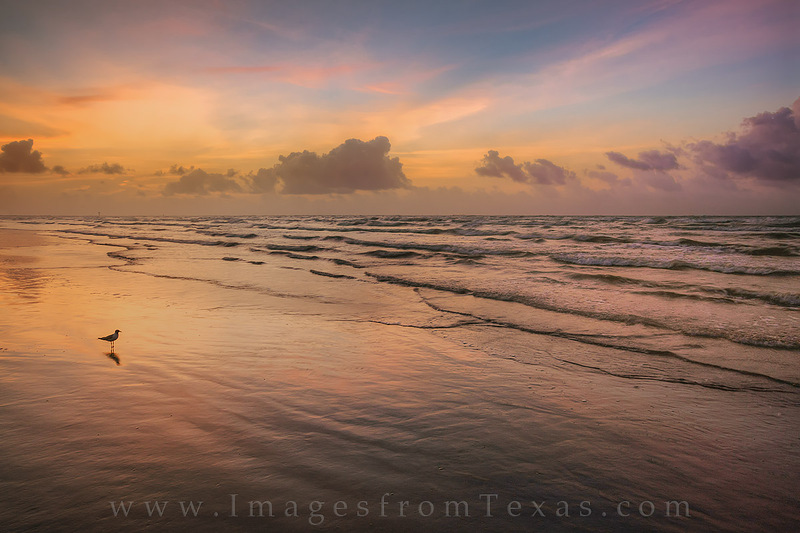 Waves roll onto the beach at Port Aransas on a colorful summer morning as the sun paints the sky in a palette of yellows, oranges, and blues. The humidity was high, and the first sunlight tinted the oceanscape in an orange hugh along this portion of the Texas coast. Photo © copyright by Rob Greebon.